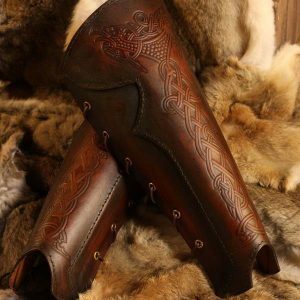 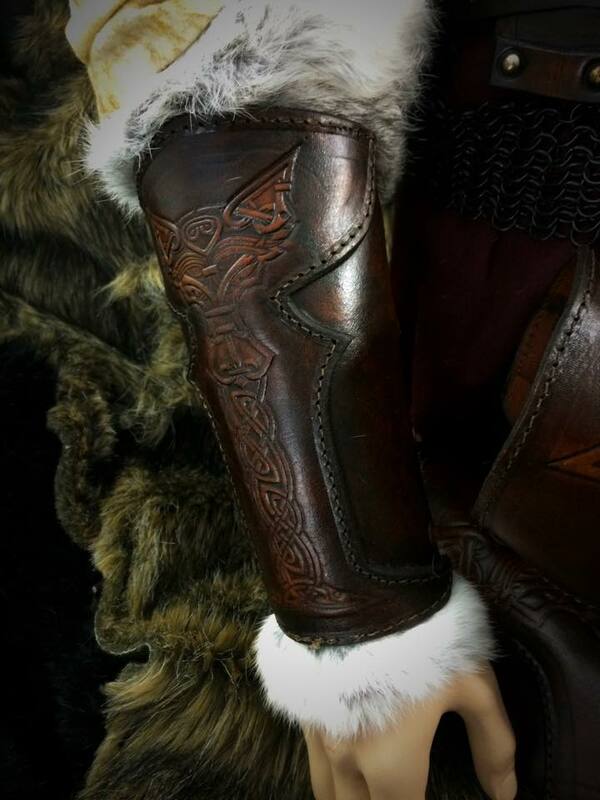 The Vendel Wolf?Leather SCA Vambrace is the jewel in the Black Raven Armoury’s crown. 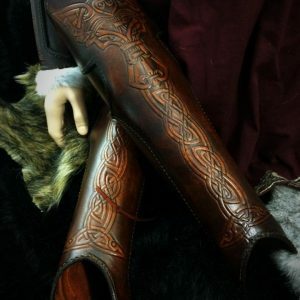 Made of premium grade top grain Veg Tanned leather (laminated to a minimum 6mm thickness), this unique set features an arresting image of a Celtic Wolf on each arm and is fashioned to impose and impress. 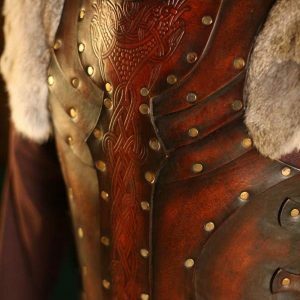 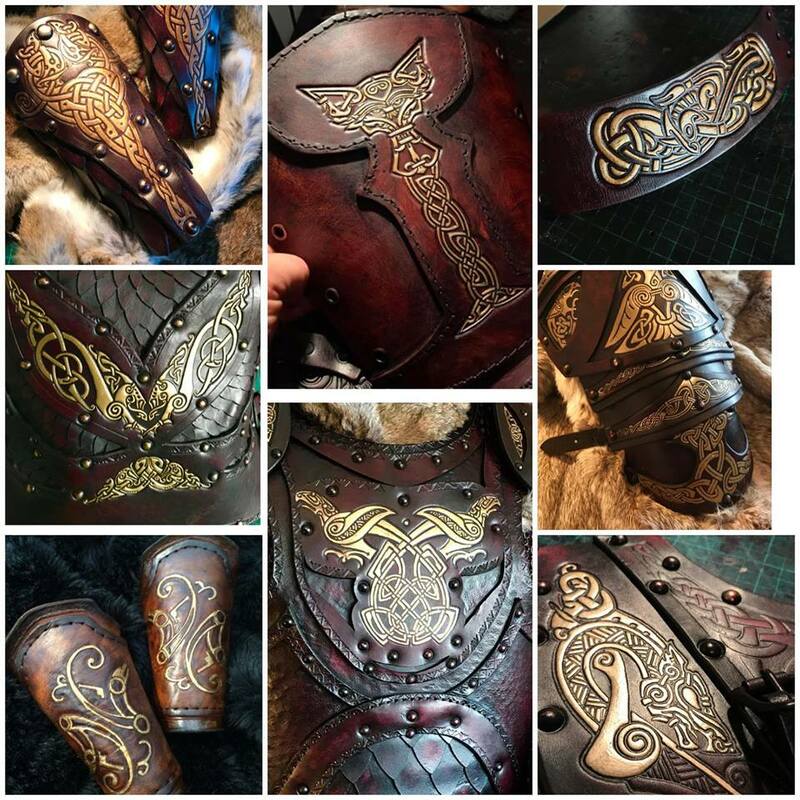 This armour is 100% suitable for a variety of uses, Larp events, cosplay, SCA, renaissance faire or theatre, stage or big screen productions.